Whether you are having a small party and need only a modest selection, or plan to host an event requiring a spectacular tower, we put together dozens of cakes annually and – with our combined expertise and experience – can accommodate almost anything. 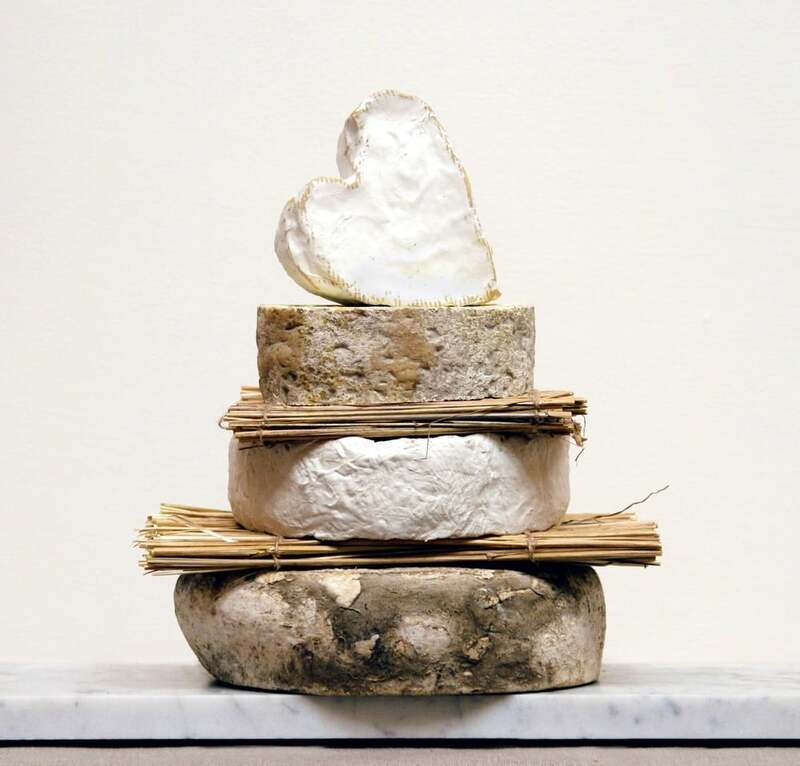 We've designed our cakes to include a balanced range of cheese (goat, soft, hard, washed rind & blue). As the selections are graduated in an impressive pyramid style, we've made sure to include extra wheels for you to hold back and replace as needed during your celebration. All orders placed online are packed by hand in the cheese room. We will include cheese tasting notes along with dividing straw mats cut to size, and you can select your date of delivery days, weeks or months in advance. In the event that you require something more bespoke, we are happy to arrange a tasting with one of the cheesemongers at our Marylebone W1 shop. Please email cheeseroom@lafromagerie.co.uk with any further enquiries or to book a tasting.